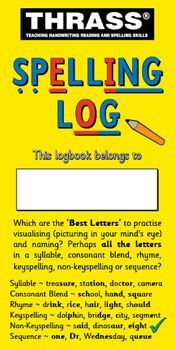 A handy logbook for storing over 600 words! For primary and secondary school learners. 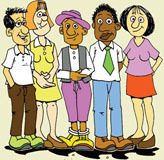 Which are the 'Best Letters' to practise visualising (picturing in your mind's eye) and naming? Perhaps all the letters in a syllable, consonant blend, rhyme, keyspelling, non-keyspelling or sequence? The logbook can be dated at the start of each new week. 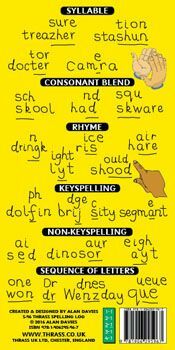 Provides a running track record of the learner's 'Best Letters' to visualise when spelling particular words (related to the spelling errors found in written work and spelling tests). 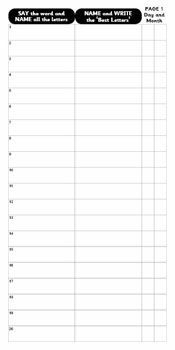 Use the logbook with the English Spelling Chart (desk and/or class size) to utilise the building blocks. Use the logbook with the S-94 English Spelling 500 Chart. The 500 basewords have been arranged in 49 word lists. Consonant spellings are blue. Vowel spellings are red. 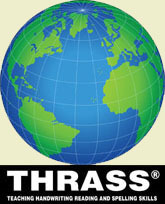 Laminated 300gsm gloss cover with space for 20 words on each of the 32 100gsm pages (over 600 words).